The Country Women's Association of Australia has been at the heart of country life for almost 100 years, feeding families, preparing food for friends, preserving fresh produce and baking for loved ones everywhere. 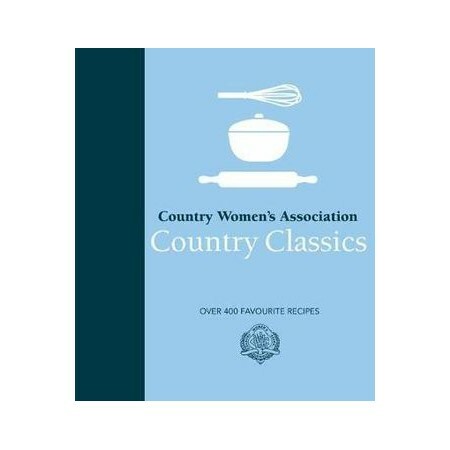 Now, this updated collection brings together more of their very best recipes in a handsome companion volume to the bestselling hardback Country Women's Association Classics. The recipes you will find inside are typical of the home-style cooking that's synonymous with the CWA: salads and soups; casseroles, pies and hearty bakes; puddings, cakes, biscuits and slices; pickles, chutneys, lemon butter and quince paste. This is simple yet wonderful food, as cooked by the nation's experts. Perfect cook book,it has old recipes that mum had & its just what i wanted. thanks for the book.